The Web Comic Secret Santa Site! Coin-Op : the comic by Dan E.
Eight to One. by B Duffy. 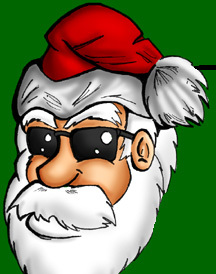 The Secret Santa web site, art and design are copyright 2002-2005 Liz Walsh. Do not use without permission.